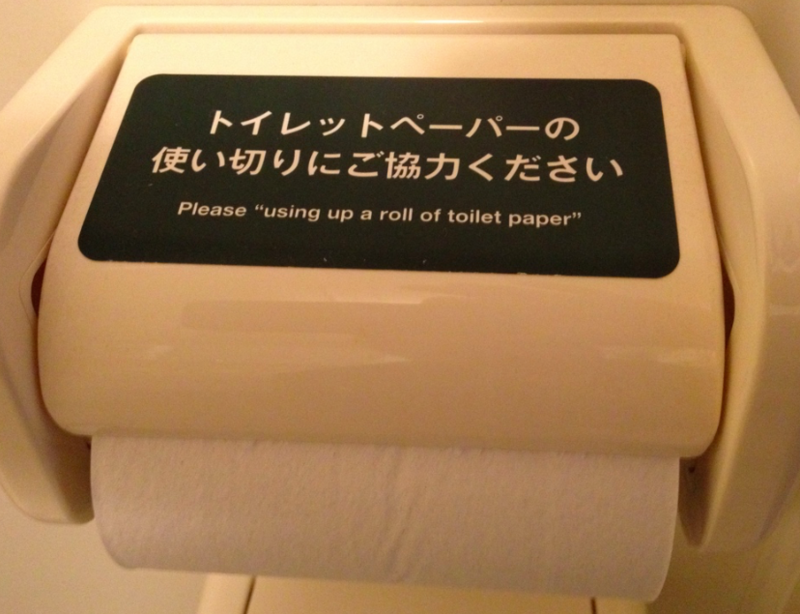 5.8.2 表示編:「トイレットペーパーの使い切りにご協力ください」 - dutcheez’s Fun with English! To use up the roll of toilet paper supports us save resources. Toilet papers are replaced to new ones for your convenience. Please help us by reducing waste. Due to our eco-friendly program, toilet papers are not being replaced every day. If you wish to use a new one, please contact the front desk.